A week after the U.S. Patent and Trademark office declared the Washington Redskins’ team name a racial slur, and concomitantly revoked the ownership's right to the trademark, a group in Cleveland intends to file a lawsuit against the Cleveland Indians. The group, People Not Mascots, seeks not only to eliminate the Chief Wahoo logo and Indians team name, but also $9 billion in reparations — are they called reparations in this case? — to be used for education and services for the American Indian community. Robert Roche is that group’s leader and spokesman. 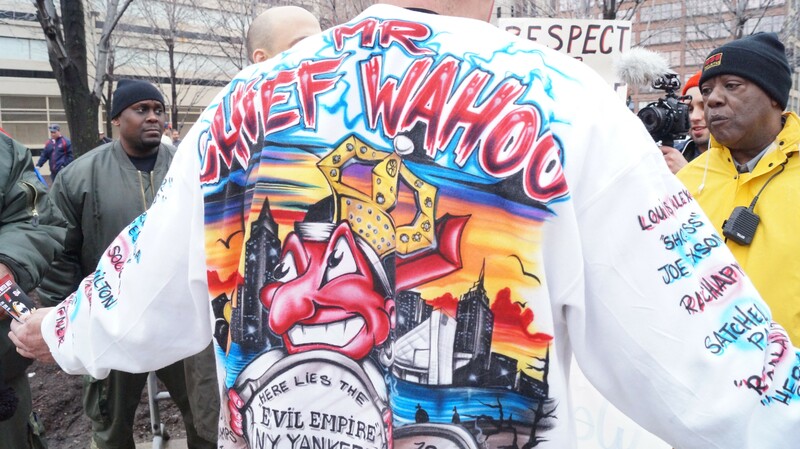 He’s the president of the American Indian Education Center in Parma and became something of a national poster child for the Anti-Wahoo crowd when his standoff with the red-faced fan Pedro Rodriguez went viral on opening day. He feels very strongly that the financial element of the suit is critical. That sentiment is echoed by economists who argue, in the Redskins’ case, that even if Washington owners win an appeal and retain the name, the bottom line may seriously suffer if major corporate sponsors back out. Even soulless corporations tend to resist associations with aggressively racist organizations. Roche said he expects the Cleveland lawsuit to be filed by the end of July, but he’s not sure how long it may take to progress after that point. This is not the first suit of its kind to be filed against the Indians franchise, Roche said. In 1970, an earlier iteration of Roche’s group (spearheaded then by local attorney Joe Meissner) filed a suit that didn’t go to court until 1985. “It was unheard of,” Roche said. For now, Roche continues to raise awareness about the issues. He visits high schools and colleges and appears on regional radio shows regularly to defend his position. He’s bothered by people who claim that Wahoo protesters come out one day a year. 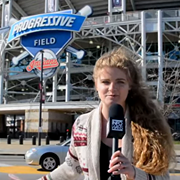 Bob Rosen, president of the local Wahoo Club — a pro-Wahoo fan group — told WEWS Channel 5 that he can’t see the rationale behind eliminating the logo when such a small percentage of people oppose it compared to all the diehard Cleveland fans who love it and buy merchandise and stuff. Top that defense, American Indians! Roche, to that point, can’t stress enough how frustrated he gets when he hears how much “the fans” love and cherish Chief Wahoo. "Yes, I feel resentment. 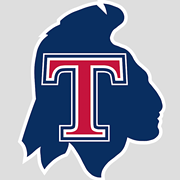 Very much so," Anselmo Valencia, the then 70-year-old chief of the tribe told Livingston. "Do I look like that? Do my people? 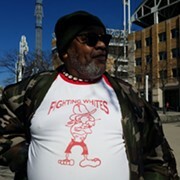 Some of the older people here, when they first heard of the Cleveland Indians, were very proud. They thought they were all real Indians. When I told them they are almost all white people and black people, they were very offended."